Three times a year, the Science Museum of Minnesota (SMM) hosts a very special event. Members Behind the Scenes gives visitors the opportunity to enter parts of the museum that are normally off limits (like the research labs) and see what goes on. 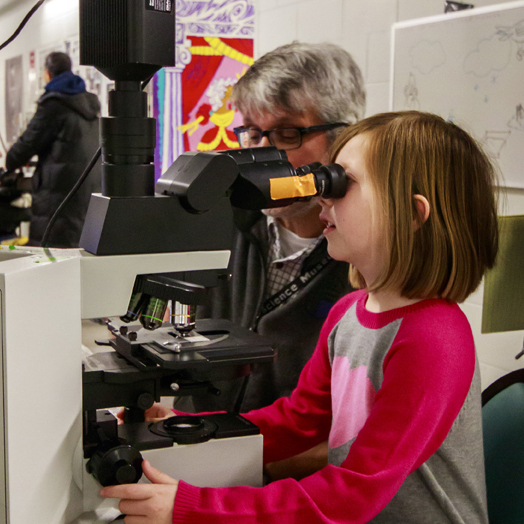 On Martin Luther King Day, scientists from the St. Croix Watershed Research Station provided research microscopes, field equipment, and displays of their scientific activities. Over 600 museum visitors attended the event. 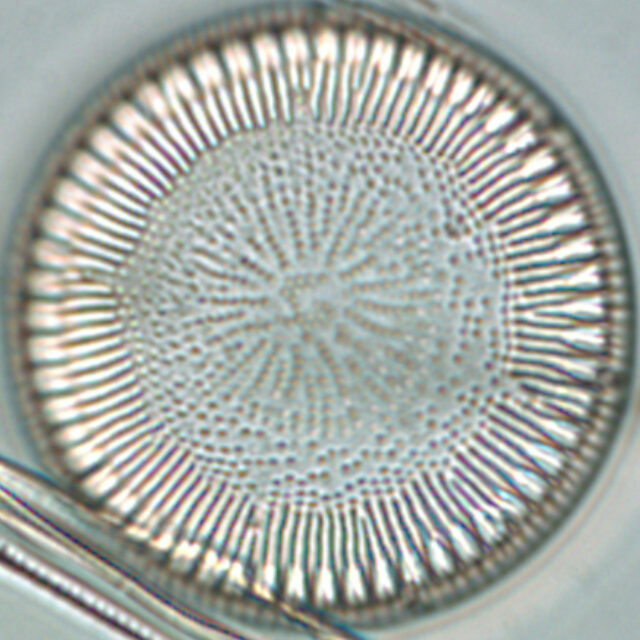 Visitors, including kids as young as four, were able to look at diatoms through the best light microscopes currently available. Visitors learned why diatoms are so important in water and how scientists use diatoms in biomonitoring and paleoecological research. Visitors became citizen scientists and helped station researchers make observations. The scientists tasked visitors with searching microscope slides for particular diatom species. Then, each citizen scientist learned how to measure diameter, length, patterns of ornamentation, and take a micrograph. Finally, the contributions from visitors were incorporated into development of taxon pages. As a result, the museum’s newest citizen scientists created the content necessary to complete pages for Lindavia bodanica and Hannaea superiorensis. Experiencing the world under a high powered microscope.